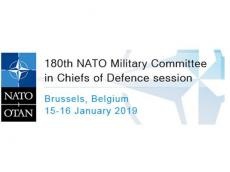 The meeting will be held at the level of Chiefs of General Staff at NATO Headquarters on Jan. 15-16. Resolute Support is a NATO-led, non-combat mission to train, advise and assist the Afghan National Defense and Security Forces (ANDSF). It was launched on 1 January 2015, following the conclusion of the previous NATO-led International Security Assistance Force (ISAF) mission, and the assumption of full security responsibility by the ANDSF. The Resolute Support Mission currently comprises around 16,000 personnel from 41 NATO Allies and partners.